Not a flower yet, but can’t resist showing these spidery little bromeliads that have colonized the bark of this tree. They do bloom, but the flowers are tiny and easily overlooked. This entry was posted in Bromeliads., Trees, Uncategorized and tagged Bromeliads, Cee's Flower of the day challenge, image of tree on September 23, 2018 by lifelessons. 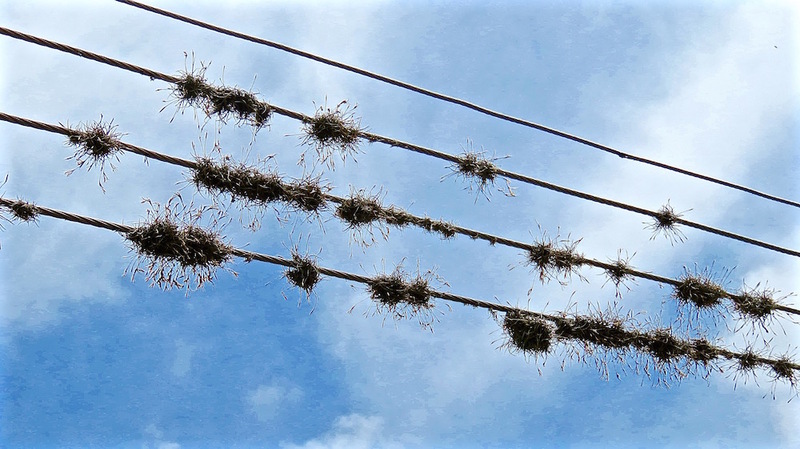 How do these bromeliads get up onto the electrical wires??? (Yes, it does have tiny blooms like little flags..pretty dried up on these plants. They have sticky seeds that stick to the feet of birds. 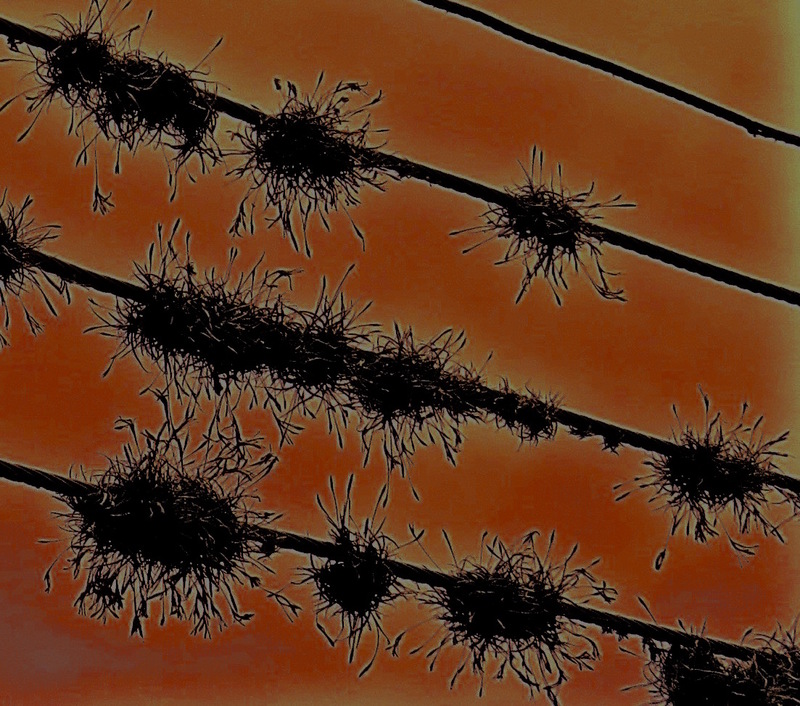 Then when the birds perch on the wires, they leave the seeds behind to grow in their new home. I couldn’t resist playing around with this image. 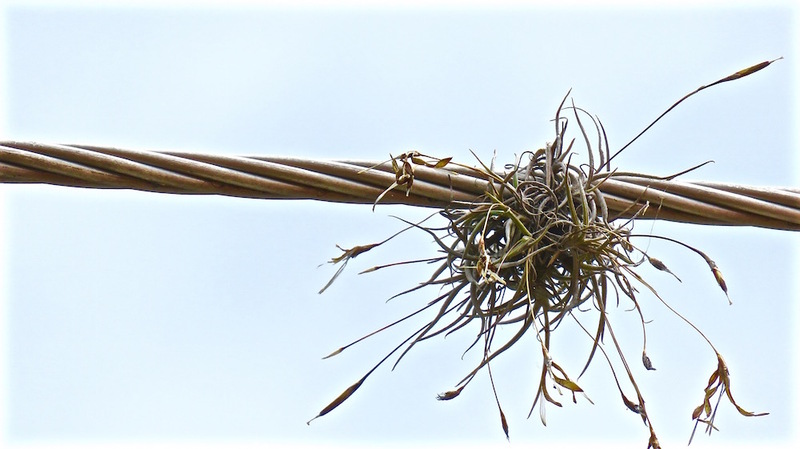 This entry was posted in Bromeliads., Plants and tagged Bromeliads, images of bromeliads of electrical wires on August 14, 2015 by lifelessons.